As if we don’t have enough stress of our own, we also have to contend with the impact of other people's stress—the triggered colleague who has a meltdown over some minor delay on a project, the driver with road rage, or the spouse who comes home after a bad day at the office and lashes out at anyone in sight, including the dog. Stress is more than a personal health hazard. It’s a menace to the planet, since it aggravates a part of the brain responsible for aggression, and does so with zero awareness on the part of the reflex reactor. Misery definitely loves company. Stress makes you take your frustration or anger out on others. Hormones released by the fight-or-flight response, not surprisingly, make it easy to go into fight mode. We see the cascade of pass-along stress at the office. The supervisor gets chewed out, then he or she jumps on you, then you look for someone else or, smarter, the stress ball to take your frustration out on. It’s known as stress-induced displacement aggression, the practice of dishing out to others what you just got served up, and, believe it or not, it actually reduces stress for the person acting out as it increases it for others. No doubt, it's a prime suspect in why humans have such a hard time getting along. As primate expert Robert Sapolsky reports in his book, Behave, “Shock a rat and it’s likely to bite the smaller guy nearby; a beta-ranking baboon loses a fight to the alpha, and he chases the omega male; when unemployment rises, so do rates of domestic violence." If we want to reduce the volume of mindless violence and aggression in the world and at the office, I’d suggest a Marshall Plan for the psyche, giving people stress management tools to turn off the stress that drives reflex hostile aggression. When you switch off the false danger signal of the stress response, the emotional cyclone that can wreak damage on anyone nearby stops in four minutes. Stress and aggression are linked together in a chemical dance in which each feeds off the other in a way that prolongs aggressive feelings and removes inhibitions that would normally keep irrational and violent acts at bay. The dynamic is neatly summed up in a study led by Menno Kruk of the University of Leiden in Holland, where researchers investigated the connection between stress and aggressive behavior. Scientists removed the adrenal glands of rats that produce stress hormones, and then injected them with corticosterone, similar to the cortisol that surges in humans during stress. Stimulating the aggression hub of the hypothalamus set off attack mode, bona fide rat rage even without another rat in sight. Kruk’s research showed that the stress response sets off a swift feedback loop of hormones that contribute to aggressive behavior. Stimulating the hypothalamus produced more stress hormones, adrenocorticoids, and those in turn ratcheted up overall stress and more aggravation. It all happens very quickly and can set off violent behavior even in tranquil settings. 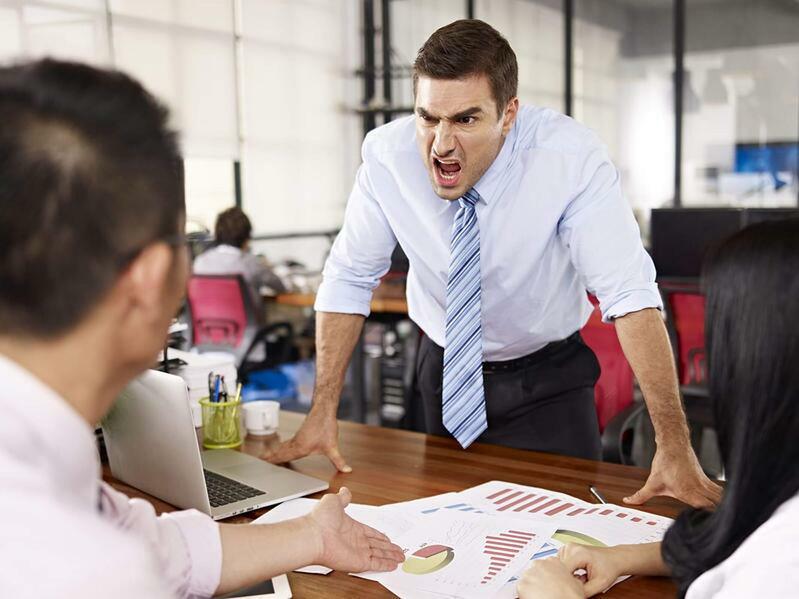 Kruk reports that there seems to be a threshold of stress that sets off aggressive behavior. A study of road rage (Lipaz Shamoa-Nir, Meni Koslowsky) found that aggressive driving style predicted high levels of stress. The more aggressive the driving style, the higher the stress. Drivers with high stress perceived other drivers as the cause, and this made them act more aggressive towards them. No doubt, driving is stressful. It involves what is known as “threat vigilance,” having to be on guard for hazardous conditions and potential life-threatening incidents. Taxi drivers and bus drivers are at the top of the list for jobs with the highest stress levels. Yet the road rage study showed there is an alternative to stress-induced, aggressive or hostile driving. It depends on the stress coping style of the driver. People who respond to stress with emotional, reactive behavior are prone to drive aggressively. Drivers who use a problem-solving approach to stress, focusing on the task at hand with their modern analytical faculties, don’t plunge off the aggression deep end. Problem-solving is the course we want to take in stressful moments, because it keeps the emotions down and reasoning in charge. It's a challenge, not life-or-death. This allows us to weigh pro and con before acting and analyze the situation, instead of default to reflexive action and what’s known as System 1 thinking—rash, impulsive, get-out-of-the-car-and-fight-the-other-driver mode. This is the Cro-Magnon state we are reduced to when stress uncorks the aggression equipment. Knee-jerk, irrational emotions set off by the stress response make us do incredibly stupid things without thinking, and when combined with the aggression-turbocharge of the fight part of the survival instinct, incredibly stupid, violent things. In this state inhibitions vanish as if you were stone drunk. The sad part of the story is that displacement aggression actually helps reduce stress hormones. Sapolsky says that when a baboon loses a fight, picking on someone further down the chain results in a drop in glucocorticoid levels. A study on the connection between family violence and pro football (David Card, Gordon Dahl) uncovered a similar dynamic in humans. When a local pro team unexpectedly loses, violence by men against female partners increases 10%. There’s no increase in violence if the supported team wins or is expected to lose. The violence increased 13% if the team was in the playoffs. The central theme connecting stress and aggression is anger. It's a short distance from anger and hostility to the stress response and cardiovascular heart disease, studies show. We have to be mindful of the stages of anger to keep it and aggressive acting-out at bay. It's a building process. Frustration and impatience lead to irritability and then the slightest spark can tip it over into anger. We have to catch ourselves before that tipping point. Ongoing anger can morph into hostility, which is a better predictor of cardiovascular disease than high cholesterol, drinking, or smoking. The impatience/irritability threshold in time urgency, for instance, or the stress of time pressure, is the most dangerous part of a process that can lead to hostility and clogged arteries. Studies show that the risk of heart attack in men in the first two hours after a bout of anger is five times greater and the risk of stroke three times higher. Are you thinking what I’m thinking? It’s kind of a miracle that humans are still around, considering the built-in self-destruction buttons we have. For a species designed to feel better by taking out frustration on other humans, it could be a lot worse. We’d be doing a lot better, though, if we could get as many people as possible into stress management training—to get out of their own way, and ours, by learning how to turn off the stress response and make the world safer for those around us. If you would like to help your team manage stress and not take their stress out on colleagues, customers, or patients, click the button below for more information on our stress management training programs.